The South was desperate in May 1864. Their early victories were for naught, and their great heroes were dead or soon would be. Stonewall Jackson, Albert Johnston, and soon J.E.B. Stuart, were all gone. 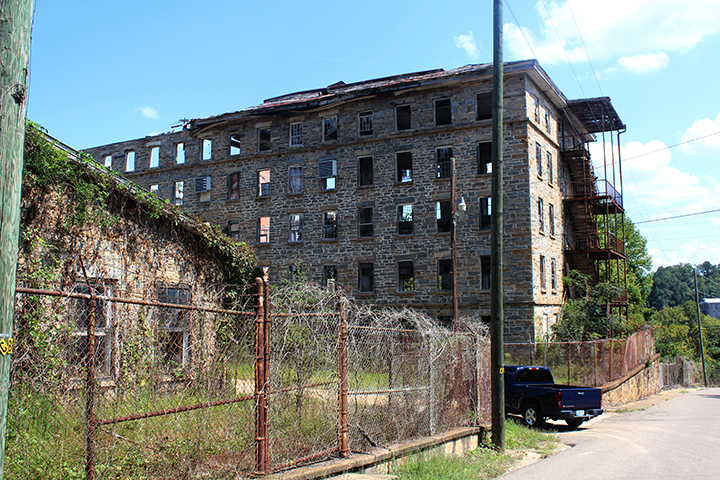 And now the forces against them had their eyes on Richmond, its government and its manufacturing capability, especially its armories. It was because of this that the Confederate States decided to move much of their equipment to distant Alabama where it was safer, more remote from opposing forces. 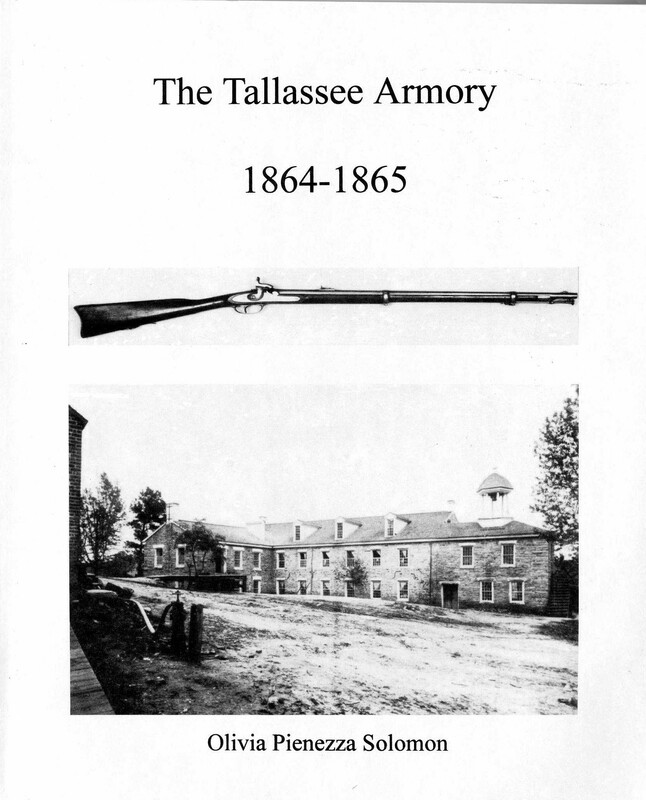 And there was born the Tallassee Carbine on the rocky shores of the fast flowing Tallapoosa River. Only 500 were produced; and today, over 145 years later, only 10 are left. And a mystery has developed over the whereabouts of the balance that were known to have been moved in the closing days of the war. 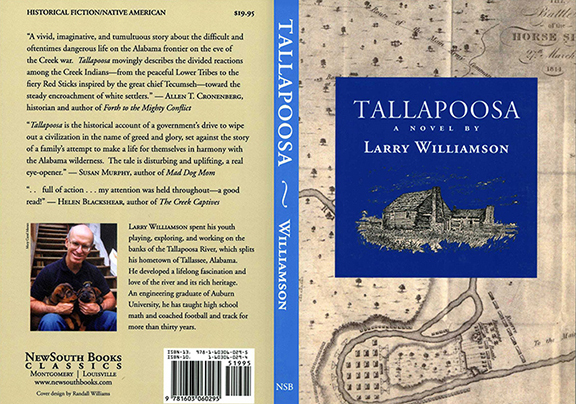 Larry Williamson, author of the acclaimed Tallapoosa, a story of the Creek Indian Wars of 1813 in Alabama, is now the author of Legend of the Tallassee Carbine: A Civil War Mystery, a fictional account of the events that led to the carbines disappearance. In it, he uses a cast of real and fictional characters to exploit an original theory of the carbines emergence and puzzling disappearance. The Ardent Writer Press is pleased to sign such a proven and award-winning author as Larry Williamson. 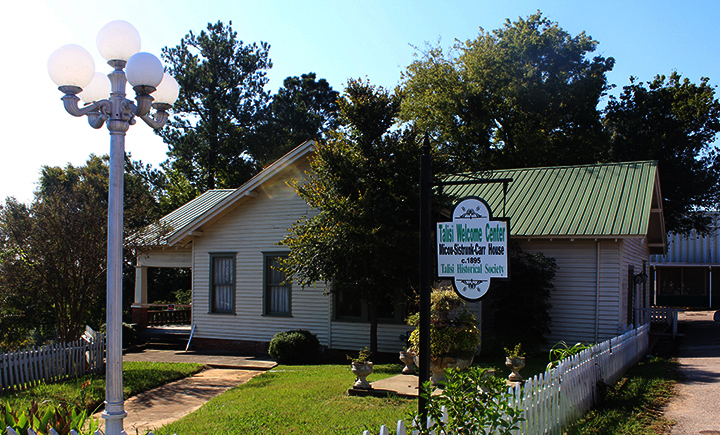 Tallapoosa won the top two awards at the 1999 Southeastern Writers Conference. 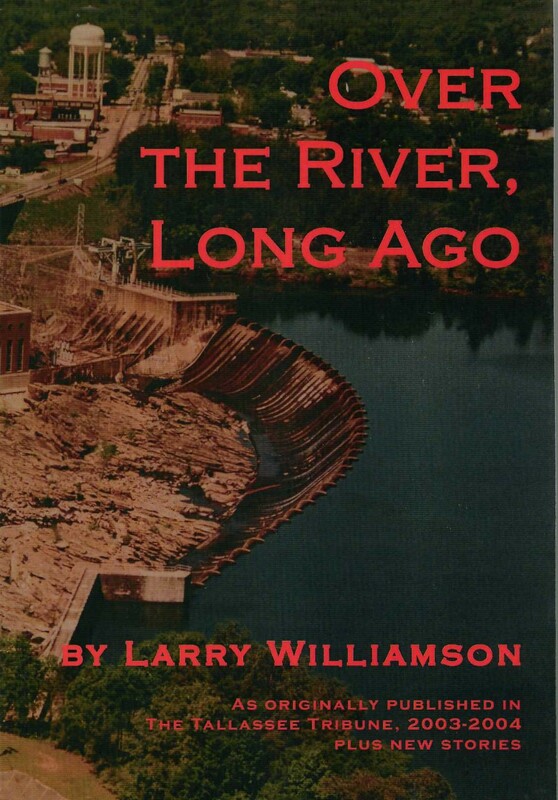 In addition, Larry’s humorous account of life growing up in the mill town of Tallassee in the 1950s, Over the River, Long Ago, was published as a 24-part weekly newspaper series in The Tallassee Tribune (2003-04), but was later expanded to 35 articles and published as a book with photos. 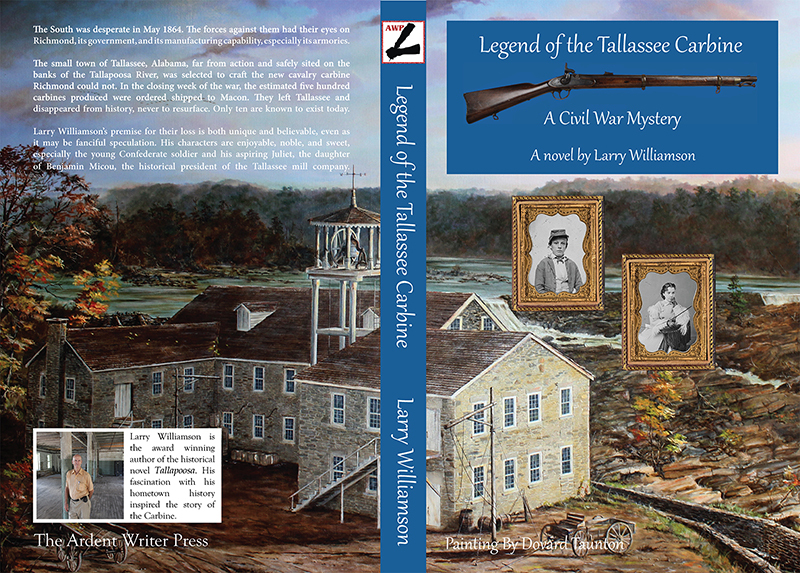 The Legend of the Tallassee Carbine: A Civil War Mystery was published on January 25, 2013 and is now available on Amazon in paperback and eBook formats. The Ardent Writer Press announces that Larry was selected as a featured author for Alabama’s premier book festival, the Alabama Book Festival, held in Montgomery in April, 2013. Larry gave presentations on Legend of the Tallassee Carbine: A Civil War Mystery and conducted book signings for the public. He and other featured authors were guests of honor at a reception held the night before the festival. We’re “Pleased as Punch” to showcase Legend and Larry’s talents. The link to the Amazon Sales page for Legend of the Tallassee Carbine is HERE and at the top of the right hand side bar on this web page. eBook format can also be downloaded at Amazon for only $2.99! See the link on the right or it can be accessed on Amazon’s paperback webpage. Of special note for the draft cover is the painting by Dovard Taunton. 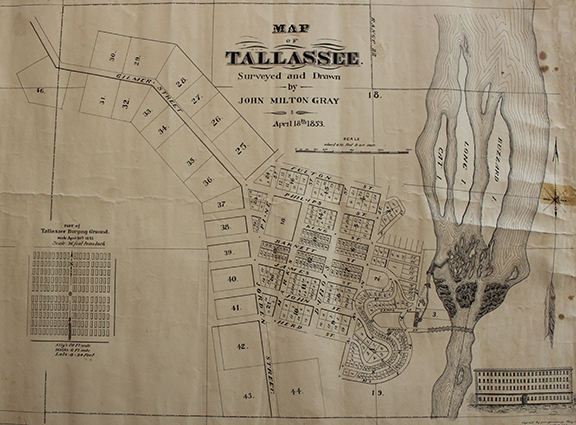 Taunton, who died in 1998, is a favorite son of Tallassee, a gifted artist whose drive for detail was extraordinary. He once shot a duck in order to count its feathers for authenticity. 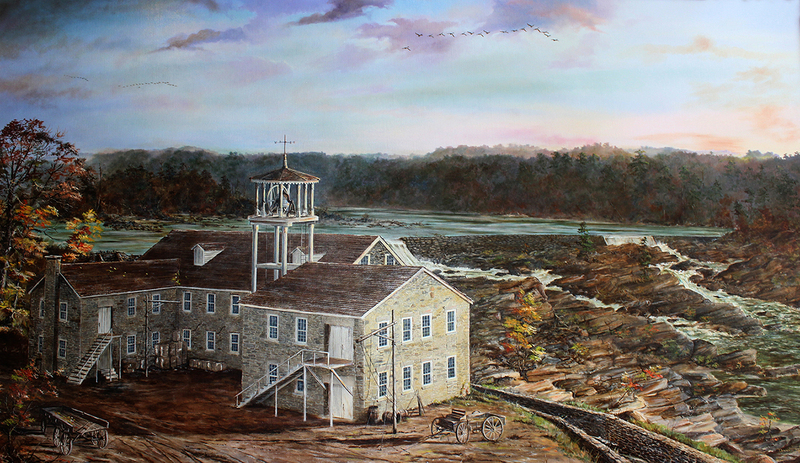 His renowned painting of the Old Armory as it existed during the Civil War is another outstanding and realistic rendition of the town’s history. The huge mural graces the BankTrust building in old town. You can count individual bricks and shingles on the armory. The Taunton family, including Audra Taunton Roberts and David Taunton, have given permission to use the painting on the cover of Larry’s novel. 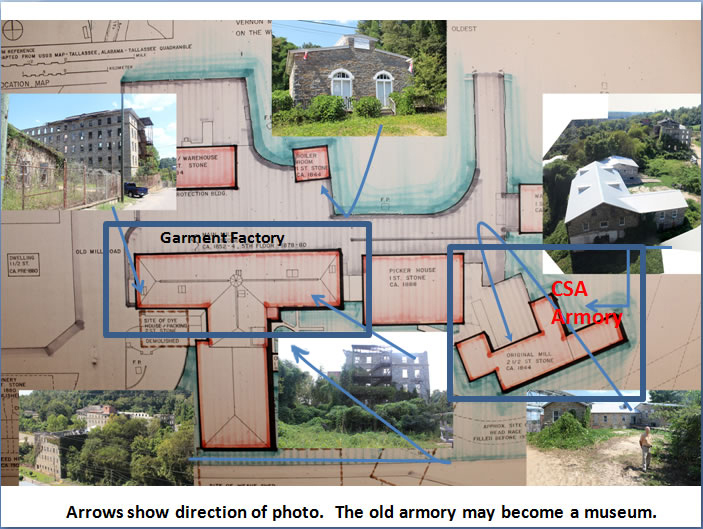 HERE IS A LINK TO A FULL COLOR PHOTO OF DOVARD TAUNTON’S ARMORY PAINTING. LEGEND OF THE TALLASSEE CARBINE ON SALE NOW AT AMAZON! Legend Amazon sales page (paperback) is HERE. LEGEND OF THE TALLASSEE CARBINE ON SALE NOW AT AMAZON! Legend Amazon sales page (eBook) is HERE. Check out Larry’s previous works. 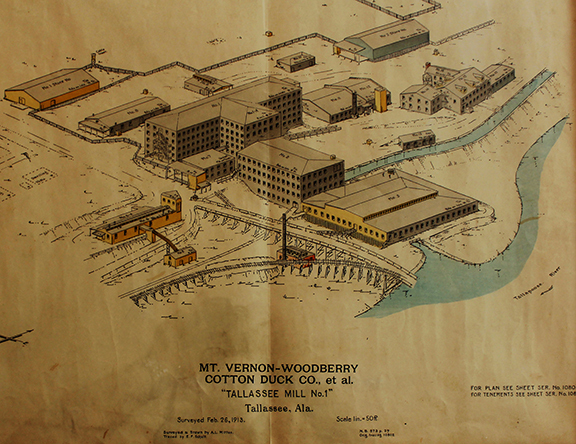 Tallapoosa is still in print at Amazon. 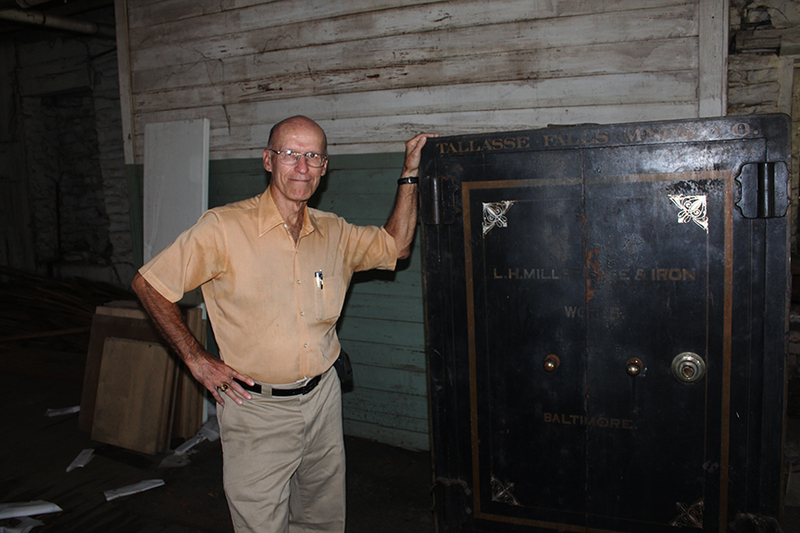 On the day of his signing with Ardent Writer Press in September, 2012 Larry Williamson gave Steve the grand tour of Tallassee and the Old Armory. 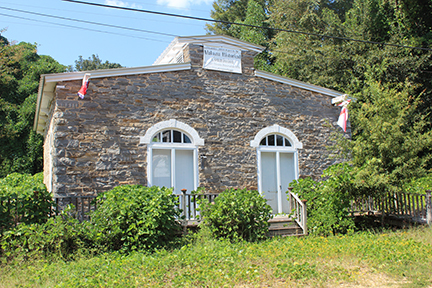 They started at the Talisi Historical Society’s home and office (Talisi is Creek spelling of Tallassee). 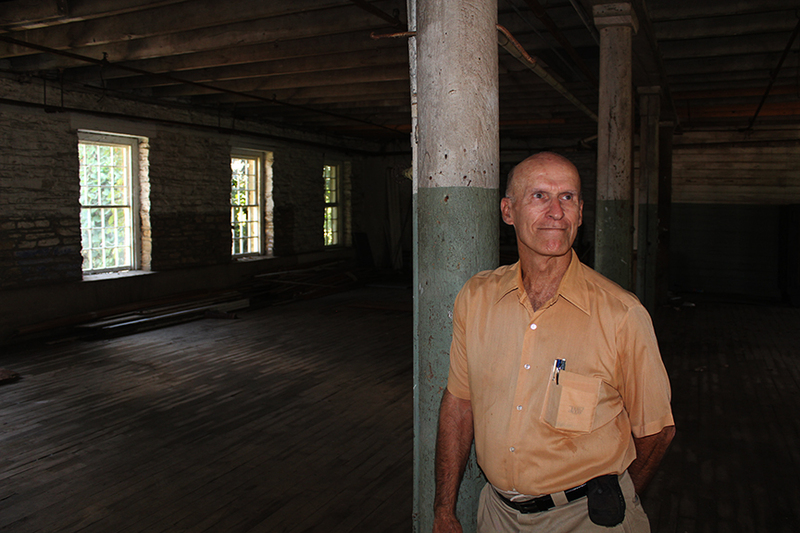 The building used to be occupied by the owner of the Mill and Armory, Benjamin Hall Micou’s foreman. The old Micou house burned down long ago. 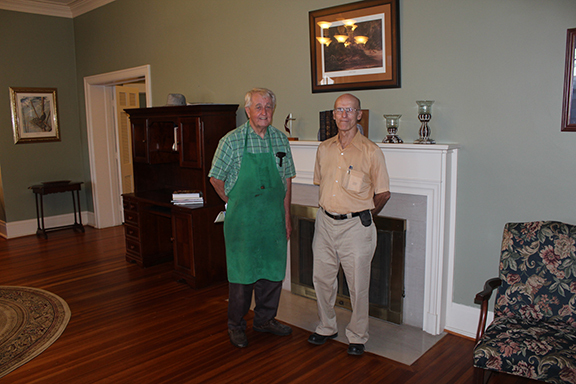 Larry and Steve met with Mr. Bill Goss, the town historian, who went over the history of the city of Tallassee and the old armory. 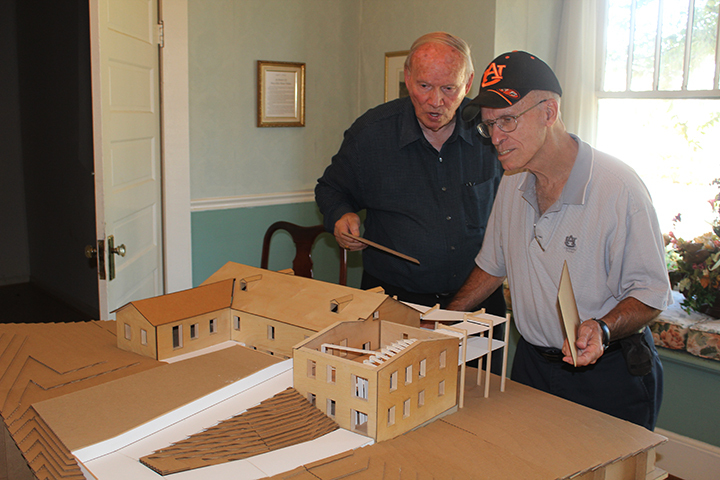 In addition to enabling several important historical documents and old photos, Bill and Larry showed Steve a model of the proposed Armory and Textile Museum created by Auburn University architecture students. The discussion was fascinating. Larry then took Steve on a walk over Thurlow Dam at Lake Talisi that holds back the mighty Tallapoosa River. 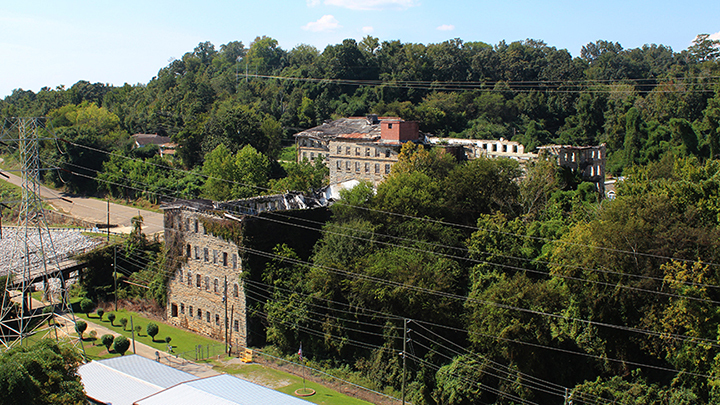 Steve took several photos of different views of the old armory and mill from the bridge over the river. 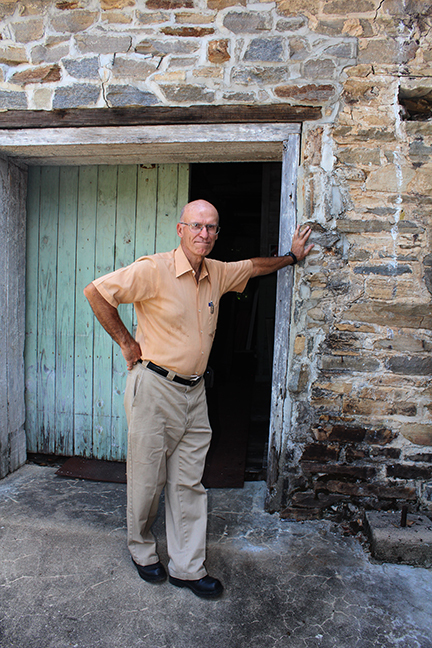 Then, the men obtained a key to the grounds from Mr. Randall Hughey, owner of WACQ Radio Station. 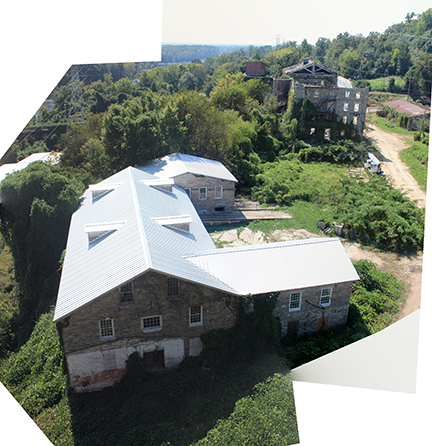 Larry and Steve conducted a leisurely walk over the grounds of the armory and mill, taking several photos used on this website. At the end of the day before signing the contract at BankTrust in Tallassee, Larry introduced Steve to Judge Dale Segrest, owner of The Segrest Law Firm. 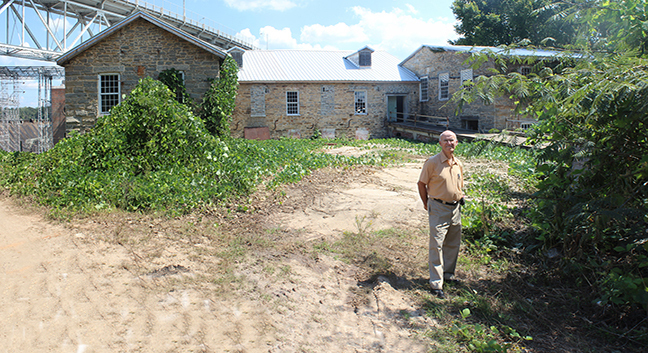 The firm is located in the old Confederate States Officers’ Quarters that housed officers during the Civil War. 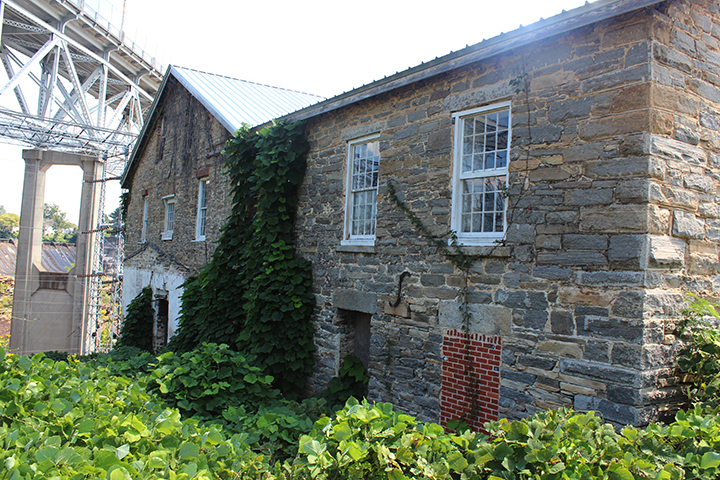 It is the larger of three remaining such structures.